OH my I love this this is so pretty just like I have said before..this has got to be my most favorite one yet...oh I love it..and how you drew cagalli and athrun you are so talented really..I so..*admire*..you really..your artworks are always the best..they make me so happy..oh I cant stop smiling..really...I just cant stop looking at it...everything about it is so romantic...you really are the best at what you do..and how you always color it in so nicely..wow..I love it..really..you have such talent...im always so *admazed*..by your drawing..they are always so creative and they shows how much effort and they always look so wonderful..I love this so so much..and how you drew cagalli and athrun they look so good..wow..I love this so much. The title is very fitting for the two of them. The background goes well with their expressions and poses as well. 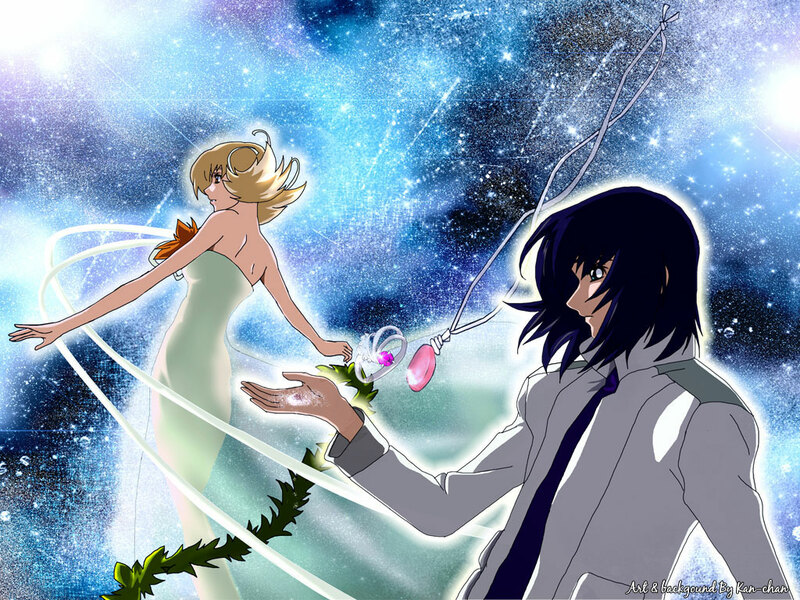 You've drawn Athrun and Cagalli so well and I admire it a lot. and the scans you used fit perfectly! Very good work, please keep it up! Once again, lovely artwork! I honestly wish I was as talented as you are. Beautiful Artwork~~ The galaxy bg is soo awesome! ^^ Also, another thing I like very much is the ring & necklace.. keep it up! This is absolutely beautiful! Just love AsuCaga! This is really pretty! =) The background is so nice.